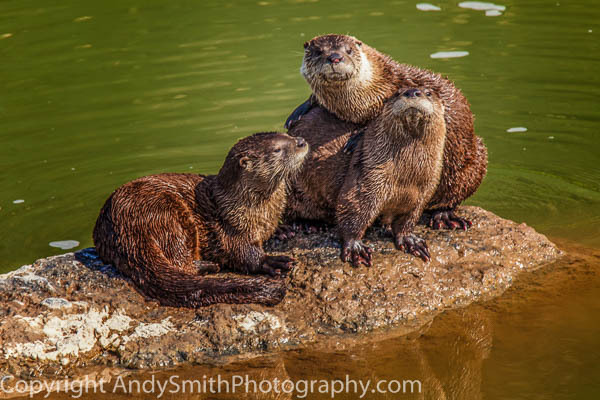 While viewing Goose Rock, a rounded mass of lava on the John Day River in Oregon, that emptied into the ocean about 80 million years ago, Kim and I found a surprise, three River Otters, playing and feeding in the river below the rock. We watched them and they watched us for about 45 minutes, a truly wonderful experience of communing with another species of mammal. This was my first experience with River Otters in the wild.